As a parent, you take every precaution to ensure your children have the best oral health. 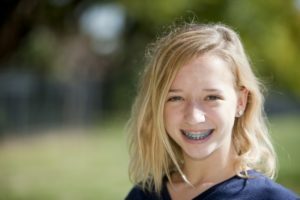 What can you do, though, if two or more of your kids need braces to correct their bite? While the thought of this can leave you feeling overwhelmed, there is help available. Read on to learn about the different payment options for braces. 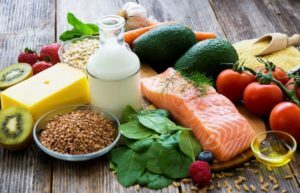 The foods your children eat are just as important as their brushing and flossing habits when it comes to what your pediatric dentist in Auburn, MA will see during a routine exam. Healthy foods are low in sugar and simple carbs and high in protein and unsaturated fats. Unsaturated ones have a high sugar and acid content and lack crucial nutrients. Getting kids to brush their teeth twice a day is a challenge in many households. But since oral hygiene is so crucial for dental health, it’s well worth it to find ways of making it fun and enjoyable, instead of a tedious chore. And by helping your child establish good habits at an early age, you’ll set them up to take great care of their smile for life. 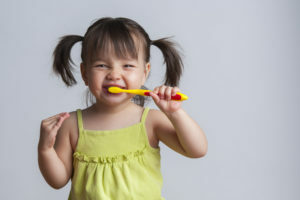 In this blog, you’ll get 3 great tips from a kid’s dentist in Auburn MA for encouraging your kids to brush by making it fun – learn more below! When raising a little one, parents are faced with many “firsts.” Whether it’s the first time your child talks or the first time you take them to get their haircut, watching your loved one grow is exciting. You probably know that taking care of your kid’s teeth is important, but do you know when they should first start flossing? Keep reading to learn the answer as well as some easy flossing tips that you can pass along to your children from pediatric dentists in Auburn, MA. Top 5 Ways To Help Your Child Brush From a Pediatric Dentist in Auburn MA! If you’re a parent, you’re probably all too aware that getting your kids to brush their teeth can be a struggle! In fact, “How can I get my kids to brush?” is one of the most common questions parents ask their pediatric dentist in Auburn MA. And since the long-term health of your child’s teeth and gums depends on good hygiene habits, your efforts are well worth it. But that doesn’t mean it has to be such a challenge each day. There are actually 5 great strategies any parent can use to make brushing easier. Learn more below and say goodbye to the daily brushing battle! Comments Off on Top 5 Ways To Help Your Child Brush From a Pediatric Dentist in Auburn MA! Teeth are important for more than just chewing and speaking. They also directly influence a person’s self-esteem. Unfortunately, it is common for people of all ages to develop insecurities about their smiles. Often, it is due to bite or alignment issues. While you may think cosmetics is the only concern when living with misaligned teeth, it is not. In fact, it can also impact dental health. As your orthodontist in Auburn, MA, we do not want to see you, or your children deal with these consequences. We love creating healthy, beautiful smiles for the entire family. Find Out Why Your Kids’ Dentist In Auburn MA Loves Their Job! Pediatric dentistry is a specialized part of the healthcare field for which only a select few are chosen. It requires just the right personality, not to mention many years of academic excellence and advanced training. But when all those things come together, the result is a highly-skilled dental professional who also has the “magic touch” with children. And not only can they make dental care fun for kids, but it’s fun for them as well! Having fun every day is actually the best part of being a kids’ dentist in Auburn, MA – which makes it easy to love the job. Keep reading to learn more about the pediatric dentists at New England Kids and why they look forward to work every day! Comments Off on Find Out Why Your Kids’ Dentist In Auburn MA Loves Their Job! One disadvantage many patients who choose Invisalign orthodontics experience is discoloration of their alignment trays. When you wear these clear, plastic appliances for weeks at a time, they may begin to turn a yellow-orange color and they can smell bad. In this post, we’ll talk about some easy ways to avoid this discoloration and odor and keep your aligners crystal clear, so you can smile confidently throughout your Invisalign treatment plan. Are you considering orthodontic treatment for your teen? While traditional bracket and wire braces are often the best option for patients at any age, convincing teens to deal with the change in their appearance, oral hygiene routines, and diet can be a struggle. Not to mention fitting all those orthodontist appointments into your schedule. It’s time to talk to your dentist or orthodontist about Invisalign Teen. This treatment option offers more flexibility, fewer office visits, and a flawless smile throughout the process. Say Hello to Your New Pediatric Dentist in Auburn, MA! Welcome to New England Kids! This is our very first blog! Isn’t this exciting?! Aren’t you excited?! Are we using too many exclamation points?! Sorry if we got a little over enthusiastic there, but we’re just so happy to start this blog so we can share all kinds of interesting information about how to take care of little smiles. Of course, it would probably help to know a little more about us first, right? At New England Kids, we’re able to offer truly comprehensive care for growing smiles thanks to having both an orthodontist and pediatric dentist in Auburn, MA. Comments Off on Say Hello to Your New Pediatric Dentist in Auburn, MA!